I met Marc Zornes when I was mentoring at Seedcamp in 2013. He proudly showed me his invention, which included a rubbish bin, which you put on top of a scale, which in turn was connected to a tablet. All was taped up with loads of gaffa tape and, to be honest, I was wondering what the guy was on about. However, it did not take me long to start listening to the story of how Marc recently had left McKinsey’s sustainability practice to make some real change to how we deal with waste in large kitchens. Following several exciting meetings in restaurants and kitchens, RECAPEX decided to invest through our partnership with D-Ax, first in the seed round and later as lead investor in the A-round. Winnow makes a real difference to the world and we are proud to back Marc, Kevin and the rest of the team. 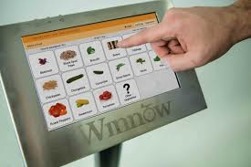 There is strong demand for Winnow’s digital, waste reducing offering which is showcased among clients like the Compass Group, IKEA and Accor Hotels. For these companies and many more, Winnow is an essential part of their ambition to reduce waste.